Multi-4SIM is a multi-SIM extension adapter that allows to use up to 4 SIM cards in your iPhone. 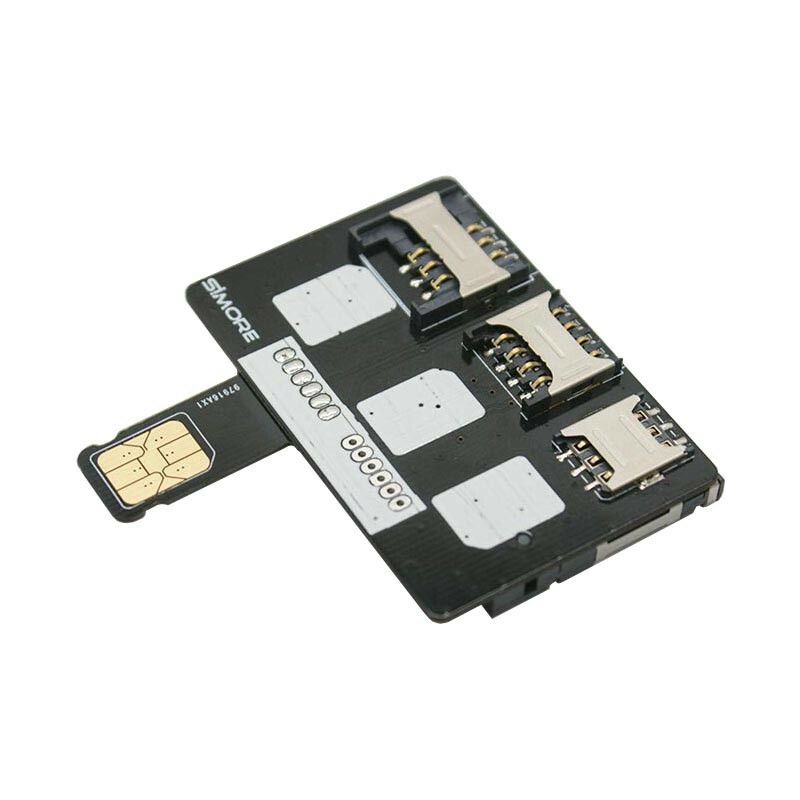 This Multi-4SIM adapter takes place directly in your iPhone SIM slot to have different SIM cards formats on your smartphone. You choose on which SIM card you want to be connected. This smart card extender allows you to activate, copy, backsup, store and save your SIM cards data directly on your iPhone. Perfect solution to copy contacts list on several SIM cards or to extract phonebook stored on different SIM cards formats. The SIM cards converter Multi-4SIM allows to read, display, save and manage SIM card contents on your iPhone. You can import and export all data from your SIM card on a new one rapidelly: copy all SIM card's information on your iPhone or transfer them to your new SIM. Easy to use, the multi SIM cards reader enables you to read, write, edit (contacts directory, PIN code ...) of your SIM card quickly. You can manually enter your new contacts, names and phone numbers directly to your iPhone and copy new data on your new SIM card. The SIM cards extension adapter Multi-4SIM is a great solution for anyone who has several SIM card under different format and wants to save labor and time. Allows to use all SIM cards formats in one iPhone. Supports Mini SIM, Micro SIM, Nano SIM and IC card formats. Manage SIM card's data and informations from your iPhone. Backup and save your contacts list on your new SIM card easily. Change and modify your SIM cards PIN code. Simple and easy installation (Plug & Play).